See a perfect run on the Cave Entrance, collecting all the coins from each checkpoint. 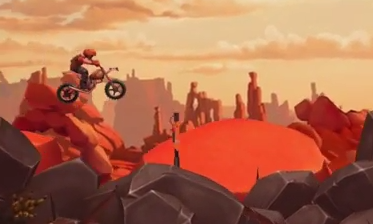 While the races in Trials Frontier tend to be fairly straightforward, there's often a catch. Cave Entrance has players passing through checkpoints to collect coins. To see an example of a perfect run, check out our play through below.